The lead disaster official for Hurricane Florence recently clashed with his boss, Homeland Security secretary Kirstjen Nielsen, over travel home to North Carolina. 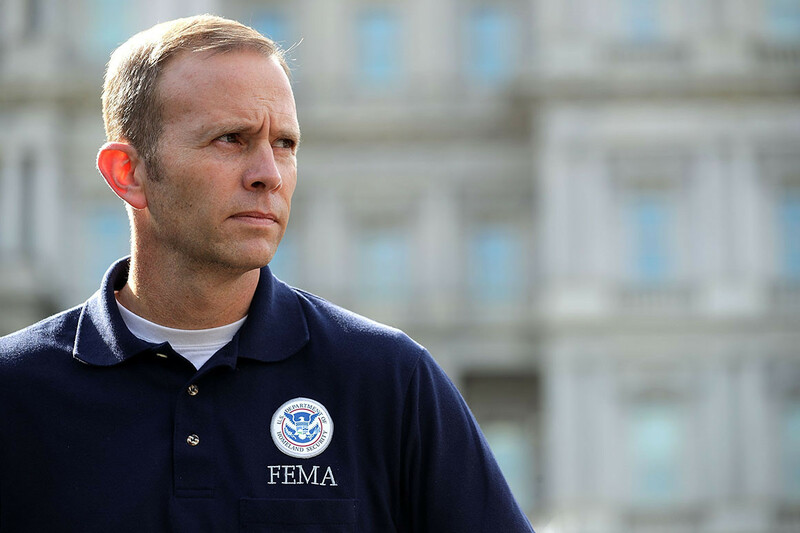 FEMA administrator Brock Long is the target of an ongoing Department of Homeland Security inspector general investigation into whether he misused government vehicles during his commutes to North Carolina from Washington, according to three people familiar with the matter, including current and former administration officials. The actions by Long, the U.S. government’s lead disaster official as the country braces for Hurricane Florence, have been called into question by the inspector general over whether taxpayers have inappropriately footed the bill for his travel, an issue that has tripped up a number of current and former top Trump administration officials. Long’s travel habits triggered a clash between him and his boss, Homeland Security Secretary Kirstjen Nielsen, in recent weeks, clouding their relationship just as senior aides close to President Donald Trump prepared for hurricane season – a task that’s attracted extra scrutiny in the wake of the disaster that befell Puerto Rico in the aftermath of last year’s Hurricane Maria. The IG is investigating whether Long misused government resources and personnel on trips back home to Hickory, N.C., on the weekends, said two of the officials. The IG’s interest was drawn after one of the vehicles – a black Suburban – was involved in an accident, according to one of the officials. Long’s routine absences from the office due to frequent six-hour drives between North Carolina and Washington also drew Nielsen’s attention, this person said. Nielsen had raised the issue of Long’s in-office schedule with him in recent months, this person added. At a meeting in late August, Nielsen confronted Long about his travel, though people familiar with the meeting gave conflicting accounts about whether she took the step of asking him to step down over the issue. One of the officials said Nielsen asked Long to consider resigning, though he declined to do so and remains in his role. The program to support the FEMA administrator “was never intended for this purpose,” said the official. Long did not respond to requests for comment. Jessica Nalepa, FEMA’s director of external affairs, said questions about specific IG investigations should be directed to DHS’ IG office and that FEMA fully cooperates with all investigations conducted by the IG. The DHS IG’s office and the White House did not respond to a request for comment. Long started using a staff driver to get him home to North Carolina at the beginning of his tenure at FEMA last year. On the weekends Long spent in North Carolina, aides were put up in a hotel at taxpayer expense, according to one of the current officials. DHS employees must be authorized to access government vehicles for personal use, including travel to a residence outside Washington, according to one of the officials. But a former DHS official said Long, as administrator, is entitled to have a contingency aide accompany him so he can have secure communications in case of a national emergency. The former official added that Long “never asked for it and believed access to secure communications to be part of a presidential directive.” FEMA recently scaled back the use of the contingency team for cost-saving purposes, and Long now drives himself or flies to North Carolina. Former FEMA administrator Craig Fugate, who served under President Barack Obama, said he could only remember using government cars for commuting purposes in seven instances during the eight years he held the job. In those emergency or extreme cases, Fugate said, it was deemed appropriate for a FEMA aide to brief him face-to-face as a driver took him from his home in Gainesville, Fla., to the Jacksonville airport for outbound flights to Washington, where his presence was required. Long previously worked at an emergency management consulting firm and also has served as director of Alabama’s Emergency Management Agency.